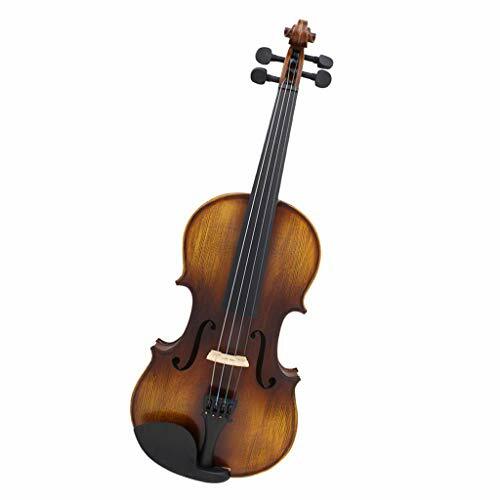 - 4/4 size antique solid wood AV-508 matte violin. - Made of spruce,light in weight,the wood texture is uniform, with dense lines, strong resistance to dampness, good adaptability and excellent sound transmission. - Length Moderate, proper installation, long-term use does not fade. - Reduce the pressure on the neck while giving the violin a better pronunciation. 4/4 size antique solid wood AV-508 matte violin. Made of spruce,light in weight,the wood texture is uniform, with dense lines, strong resistance to dampness, good adaptability and excellent sound transmission. Length Moderate, proper installation, long-term use does not fade. Reduce the pressure on the neck while giving the violin a better pronunciation.